This is one in a series of blogs sharing 1st person accounts of clients of Kevin Smith Transportation Group sharing their experiences touring Pennsylvania Wineries. As the leading luxury transportation company in Pennsylvania, Kevin Smith Transportation Group offers a fleet of Stretch Limousines, Party Buses and Executive Shuttles to make every wine tour the perfect experience for our clients. This blog is their story. Are you looking to book a wine tour in Pennsylvania? Whether the trip is a romantic getaway, a group of best friends celebrating a special event or a company outing, simply call KSTG today at 610-222-6225 and let one of our “Wine Sommeliers” arrange all of your transportation. From daytrips to overnight excursions, let KSTG handle all of the driving so you can focus on tasting the amazing wines that Pennsylvania wineries have to offer. Bachelorette Party! That is our story. My best friend was getting married and at 25, she was the first one of our group of friends to take the walk down the aisle. As the best friend, I was tasked to organize the Bachelorette Party. We decided to organize am all-day event, beginning with a spa visit early in the morning and a late night dinner in the city. In between, we landed on a Wine Tasting at Stoudt’s Winery. Stoudt’s Winery is part of the growing Berks County Wine Trail which now includes 12 total wineries, making a visit to Stoudt’s Winery the perfect destination. 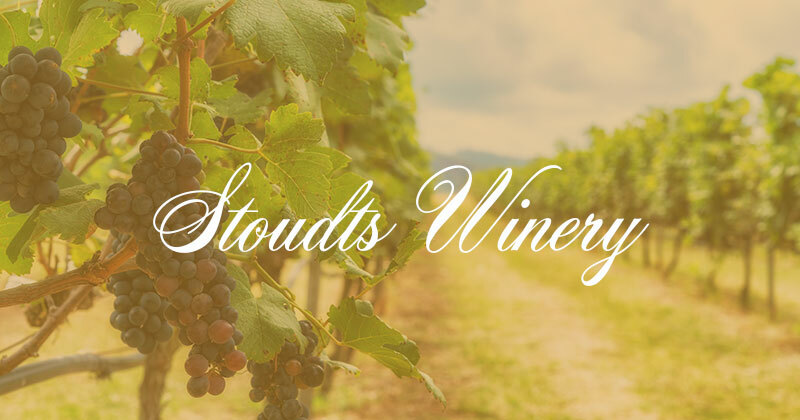 Stoudt’s is known for their Plum Wines and their overall influence of fruit-winemaking. We had a full day planned for the Bachelorette Party so squeezing in two hours late in the day for a tasting seemed like a great idea. We stumbled across Stoudt’s Winery because of a special event they were holding. It was a Gallery Reading with Medium TerriLee. We arrived a little early and got a chance to taste some of their local wines. There were 8 of us in total and we all were excited to sample their wines as we all enjoyed fruitier wines. We were going right to dinner in Philadelphia, PA afterwards so we had stocked the stretch limousine with some snacks and were intending to purchase a few bottles from Stoudt’s Winery for the night. When we arrived, the staff greeted us with smiles and immediately we felt comfortable. We sampled some amazing wines and then settled in for the Medium. This was my first time seeing a Medium and all I will say is wow! What an experience. While not an overly large venue, it was perfect for what we wanted to do. More importantly, we learned more about the Berks County Wine Trail and decided that over the winter, we want to do a multi-winery tour of the trail and get a chance to sample more of the local wines of the area. The renting of the stretch limousine was also a perfect idea. I don’t know how anybody visits a winery for a tasting and thinks about driving themselves. Having a professional chauffeur drive us around all day and night was the perfect compliment to an amazing night of wine and laughs with my friends. Stoudt’s Winery focuses on classic fruit wines. Much of their wine is produced from fruit they grow in their own orchards. In addition to their locally produced wines, they also run their own fruit stand where you can purchase locally grown fruits and vegetables. Their Shiro Plum wine is well known along the Berks County Wine Trail and their name itself was recently changed in 2017 to Stoudt’s Winery. If you are considering booking a Wine Tour with Kevin Smith Transportation Group, know that there are many vehicle options to choose from. Kevin Smith Transportation Group offers a variety of stretch limousine options when we called them. They included Lincoln MKT’s that could handle up to 8 passengers and a gorgeous white Stretch Denali that could handle up to 18 passengers. When we called, the Party Bus options were amazing. Besides all of the extra space you get, the music, televisions and other features made it a really nice option. The coolest option was that they have Party Buses for groups of to 28. For those people planning a Wine Tour for a large group, these are perfect. For smaller groups or couples, a luxury sedan or SUV is perfect. You don’t have to worry about driving while tasting all of the amazing wines that are offered at the Pennsylvania Wineries and you can simply sit back, relax and enjoy the entire experience. The Berks County Wine Trail seems to be growing in reputation. We were glad we made Stoudt’s Winery our first tasting experience and they made 8 girls from Montgomery County lifelong clients. Thank you for reading today’s blog on Pennsylvania Wineries. Please return every week as we provide 1st person accounts of tours of the Pennsylvania Wine scene. For more stories about Pennsylvania Wineries, visit www.kevinsmithgroup.com/blogs. Check out the Ultimate Wine Tour guide for information on Pennsylvania’s more than 200 wineries.